When working with clients on how to modify behavior, it is important to teach how to be self-reflective and aware of his or her behavior in reaction to the people places and things around them. When clients learn how to be self-reflective, they are able to learn how to slow down reactions, think situations through, and be less reactive when confronted with something that is upsetting or exciting. Learning self-reflection skills help promote self-awareness and teach clients how to think of themselves in relation to the environment around them. 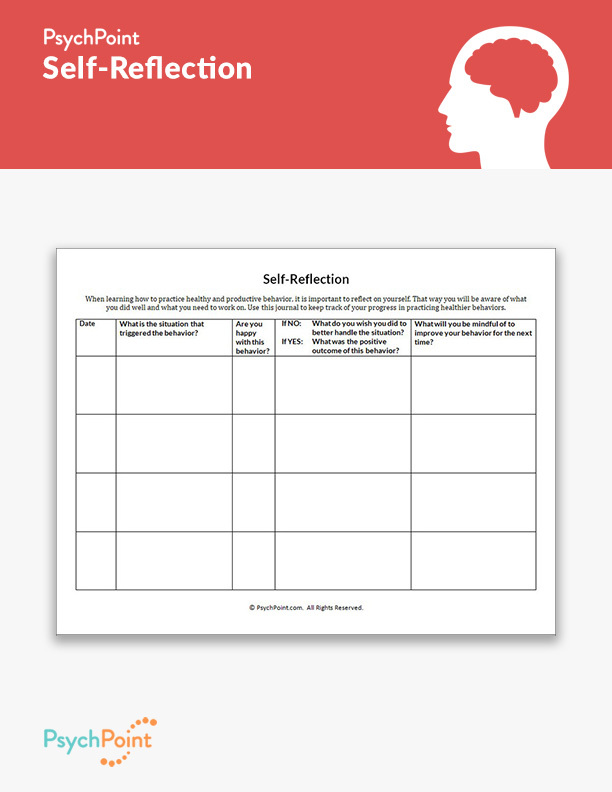 This is the Self-Reflection worksheet. 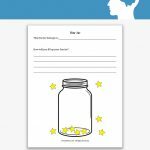 This worksheet teaches clients how to break down their behaviors and reactions to situations. By reflecting on how he or she reacts and behaves in reaction to a situation, your client learns how to interact with your environment. Your client is also able to understand how he or she behaves in relation to their environment, and get in touch with what behaviors they want to change or strengthen to become the person they want to be. 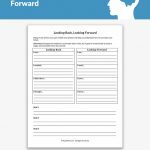 This worksheet serves as a record of behavior for a client who is learning how to be self-aware. The client is instructed to answer the questions in each row after reacting to a significant situation in his or her day. 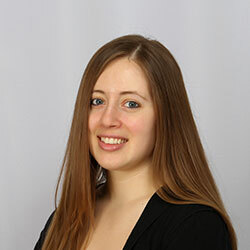 The client is instructed to record the date, the situation that triggered the behavior, whether or not he or she is happy with their behavior, to reflect on the behavior, and what they need to improve or be mindful of for the future. 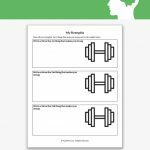 This worksheet is great for behavioral modification for adolescents and adults and is a great homework assignment for tracking mood and behaviors between sessions. Thank you! I plan to use these sheets for a patient I’ve been seeing who currently shows little motivation to change self-destructive behaviors, binging on alcohol and drugs, etc. but seems to value coming to therapy. I’m glad to hear you find our worksheets useful! We are happy to help. Best of luck to you and your client!